The Boeing B29 Superfortress makes its first flight. 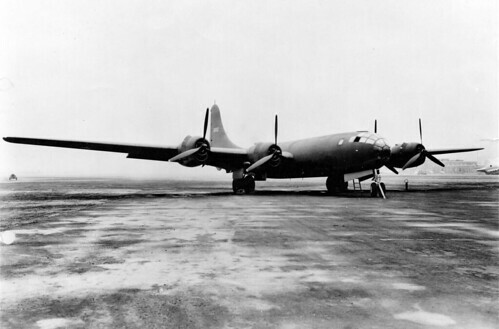 On this day in 1942, the U.S. B-29 Superfortress makes its debut flight in Seattle, Washington. It was the largest bomber used in the war by any nation. Meanwhile, the Marianas Islands in the South Pacific were being recaptured by the United States, primarily to provide air bases for their new B-29s—a perfect position from which to strike the Japanese mainland on a consistent basis. Once the bases were ready, the B-29s were employed in a long series of bombing raids against Tokyo. Although capable of precision bombing at high altitudes, the Superfortresses began dropping incendiary devices from a mere 5,000 feet, firebombing the Japanese capital in an attempt to break the will of the Axis power. One raid, in March 1945, killed more than 80,000 people. But the most famous, or perhaps infamous, use of the B-29 would come in August, as it was the only plane capable of delivering a 10,000-pound bomb—the atomic bomb. The Enola Gay and the Bock’s Car took off from the Marianas, on August 6 and 9, respectively, and flew into history. This entry was posted in Uncategorized and tagged 1942, 21 September, Boeing B29 Superfortress by admin. Bookmark the permalink.